Glamour Fridays are back!!! I don’t know about you, but I certainly missed researching and writing these posts about glamorous rooms. 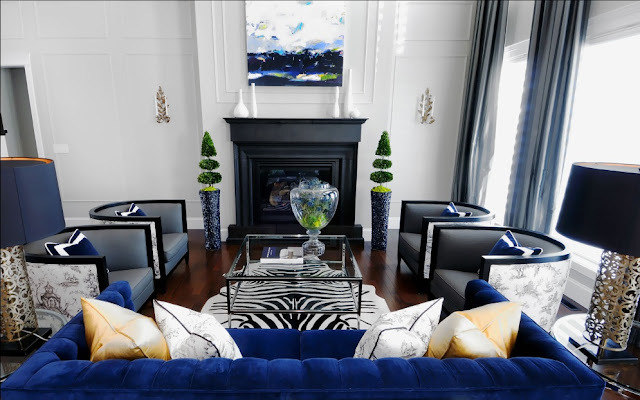 Because here on the Glam Blog – it is all about adding glamour into your home!! The zebra rug -- hello, everyone needs some zebra or animal print in their home! Black painted fireplace -- how dramatic is that? Love, love, love it!! And last, the lovely glass coffee table. What do you think? GLAM SLAM or total SHAM? Have a great weekend! !